Husband-and-wife team builds top olive oil producer. 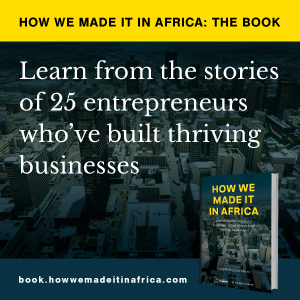 After about two decades of working as a chartered accountant for agribusiness corporations across Africa, Nick Wilkinson, together with his wife Brenda, decided to return home to South Africa. “When we came back we didn’t really have a plan because we have been away for a long time. We were just looking to see what opportunities were available,” recalls Brenda. Nick always had interest in olive production, and dreamt of one day having his own farm. So, in 2010, when the Rio Largo olive estate situated on the bank of the Breede River, about 120km outside of Cape Town, came up for sale, the couple jumped at the opportunity. Having built a reputation for turning agricultural businesses around, Nick was up for the new challenge – producing olive oil. The harvest was upon him when Nick drove into the estate that first year, and after a day spent blending the different olive cultivars to a taste he enjoyed, he sent a sample to the SA Olive Industry Association as they were about to have their annual competition. To his surprise, and that of many others, Rio Largo won “double gold” that year. Nick and Brenda were convinced the award would help position Rio Largo as a top olive oil, ultimately translating into a flurry of sales. But they were mistaken. “Nobody knew about the product or the farm or Nick,” says Brenda. Rio Largo’s range of olive oils. Brenda took it upon herself to market Rio Largo’s olive oils, and to boost distribution. Over the years she has formed partnerships with various distributors, which had a significant impact on sales. Beyond South Africa, Rio Largo olive oil has found a place in homes as far afield as Namibia, the US, Japan, Dubai, Germany and the Netherlands. The Wilkinsons also received strong support from South Africa’s Department of Trade and Industry. “They linked us with exhibitions across the world, including the US. We have been enabled through these platforms to export this product,” notes Brenda. And what about the challenges of running this business? According to Brenda, relatively few consumers know that South Africa produces good olive oils. She believes one way to break the mould is for South African olive oil producers to stand together and show the world they are a force to be reckoned with. Rio Largo is working towards this goal by collaborating with five other olive oil companies in South Africa to produce an olive oil under a new brand name.